Cologne (German Köln), city in west central Germany, in the state of North Rhine-Westphalia (Nordrhein-Westfalen), on the Rhine River. 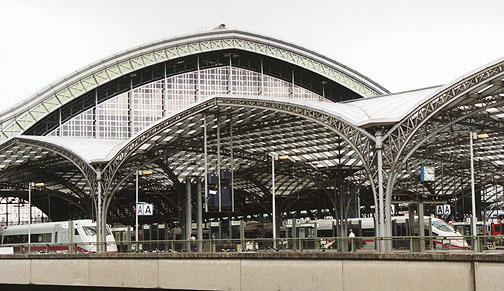 Cologne's location at the point where the Rhine crosses the overland route from Paris to northern Germany, and also at the junction of many roads along the Rhine, has given the city great commercial importance. It is a railroad center and a major port. Manufactures in the city include metal goods, motor vehicles, chemicals, textiles, pharmaceuticals, printed materials, chocolate, and a famous type of perfumed liquid, eau de cologne. The city has one of Europe's largest commercial trade-fair facilities. In Roman days the town was a rectangular tract surrounded by walls. 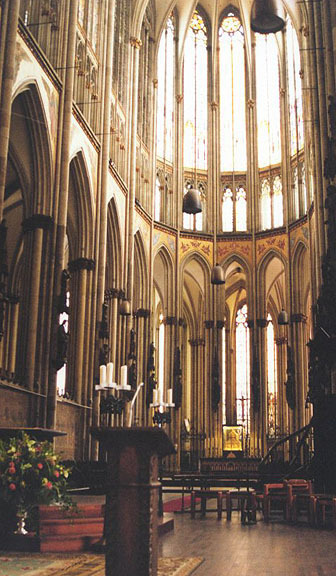 Medieval Cologne was crescent shaped and was enclosed by a rampart, walls, and gates. Inside these fortifications was a maze of narrow, crooked streets. Between 1881 and 1885 the fortifications were razed and a circular boulevard, the Ringstrasse, was constructed on their site. Beyond the Ringstrasse is the modern part of Cologne. Across the Rhine is the suburb of Deutz, which is linked with Cologne by several bridges. 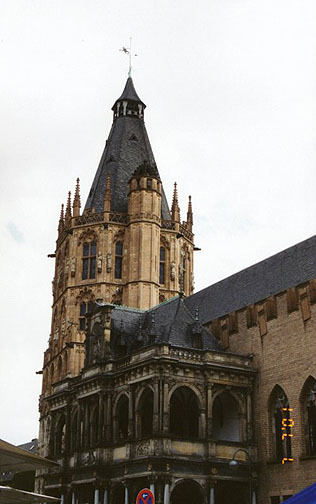 Cologne is noted for its university, founded in 1388, and for its churches. The Cologne Cathedral, a magnificent example of the Gothic cathedral in northern Europe, has twin spires, each 157 m (515 ft) high. The cathedral was begun in 1248, but was not completed until 1880; it was restored after sustaining heavy damage in World War II (1939-1945). The great bell of the south tower, the Kaiserglocke, cast in 1874 from a French cannon captured in the Franco-Prussian War (1870-1871), is one of the largest in the world. 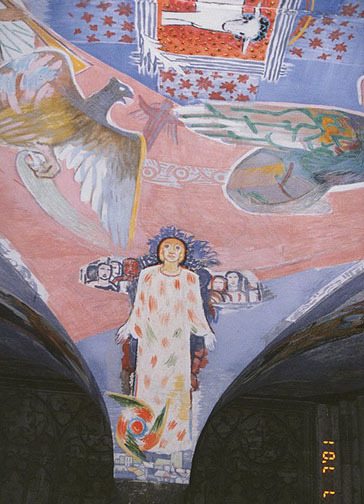 The cathedral, which has been the objective of many pilgrimages, contains the shrine of the Magi, which covers the reputed bones of the three wise men who paid homage to the infant Jesus. 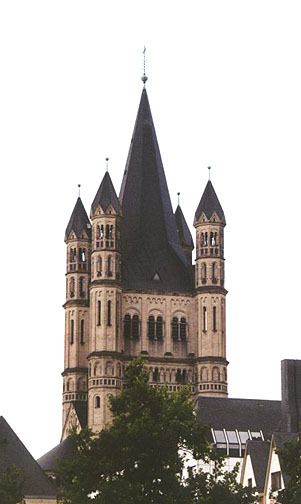 The oldest church in Cologne is Sankt Maria im Kapitol; it was consecrated in 1065. 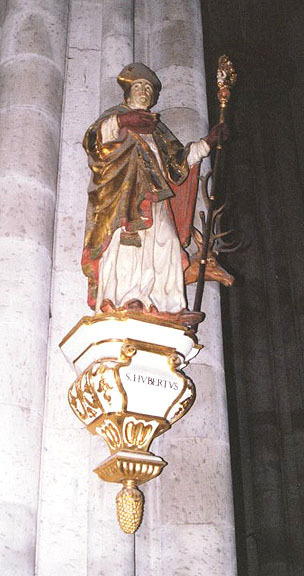 Other important churches in the city are those of Sankt Gereon (begun 11th century), Sankt Kunibert (13th century), and the Jesuits' Church (17th century). 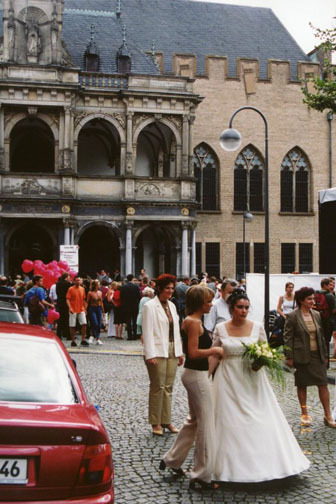 Among other notable buildings in Cologne are the old city hall, the central and oldest part of which dates from the 14th century; the Gürzenich (mid-15th century), formerly a meeting place for merchants and now a concert hall; and a modern opera house. 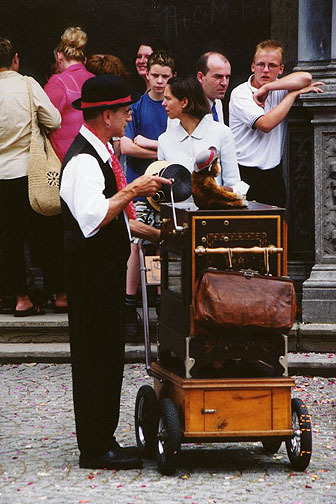 organ grinder playing "Here comes the bride"
Museums in the city include the Roman-Germanic Museum; the Wallraf-Richartz Museum, with notable displays of medieval and modern painting, and of the history of photography; the Schnütgen Museum, with a rich collection of ivory carvings and religious art; the Museum of East Asian Art; the Museum of Applied Arts; and a historical museum. 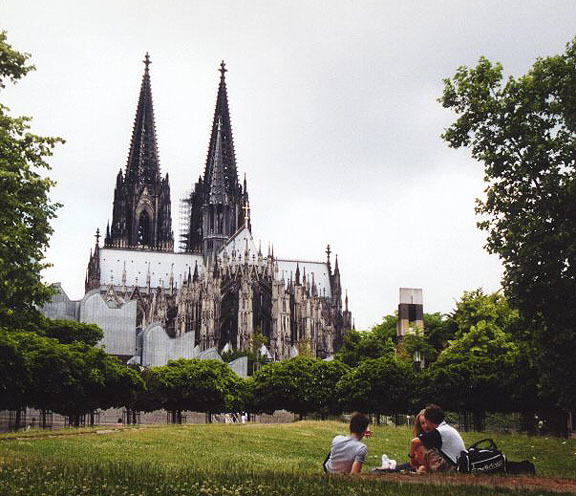 Cologne also has a zoo, an aquarium, and a botanical garden. The city is the site of an annual pre-Lenten festival. It is also the birthplace of novelist Heinrich Böll. 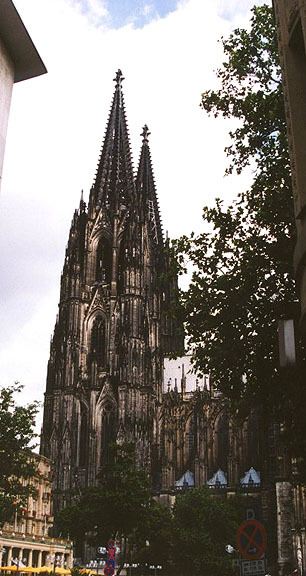 Cologne was originally a town of the Ubii, a Germanic tribe, and was then called Oppidum Ubiorum. The Romans established a garrison on the site in the 1st century BC. In AD50, Roman Emperor Claudius I founded a colony here and named it Colonia Claudia Ara Agrippinensis after his wife, Agrippina, a native of the town. It grew and prospered under Roman rule and subsequently under that of the Franks, who took the town about 330. 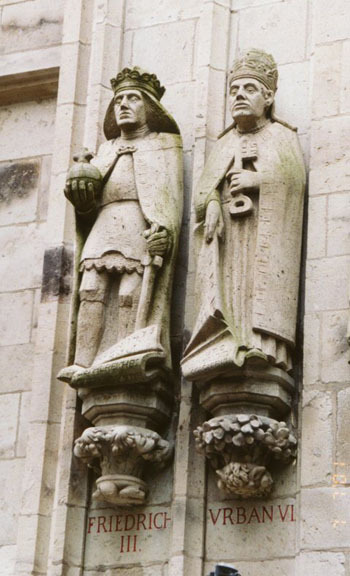 The bishopric of Cologne was founded in 313 and was elevated in 785 to the rank of an archiepiscopal see by Charlemagne. 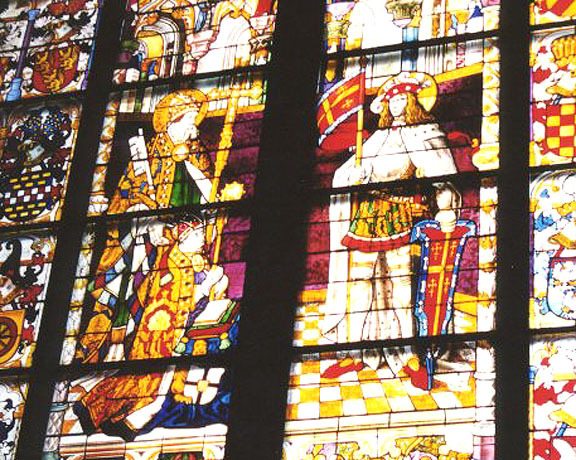 The archbishop of Cologne was recognized as elector of the Holy Roman Empire by an edict, the Golden Bull of 1356. 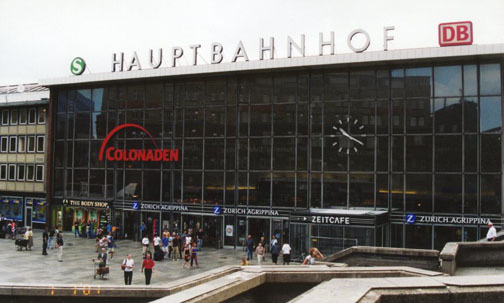 Cologne was an important member of the commercial federation known as the Hanseatic League. During the wars of the French Revolution (1789-1799), the French took Cologne in 1794, and by the Treaty of Lunéville in 1801 they secularized the archbishopric and annexed the city to France. Control of Cologne passed to Prussia in 1815 and the city subsequently grew as an industrial center. 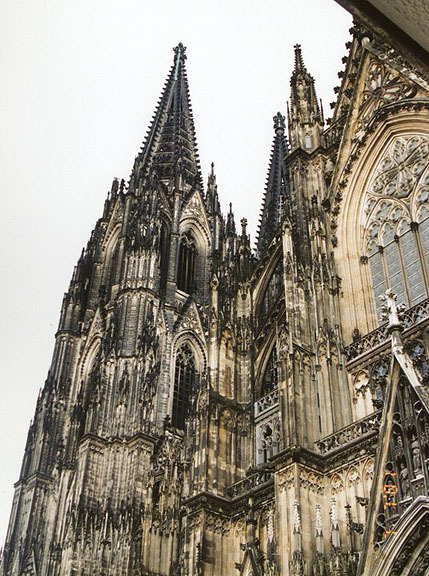 Cologne was severely damaged during World War II (1939-1945)—more than 90 percent of the structures were destroyed or damaged—but it was largely rebuilt and modernized by 1960. Serious flooding in 1993 damaged part of the city's center, and an ever bigger flood hit Cologne in early 1995, causing further destruction. The Rhine's water levels in 1995 were the highest recorded in the city in more than 200 years. Population (1992 estimate) 958,600.